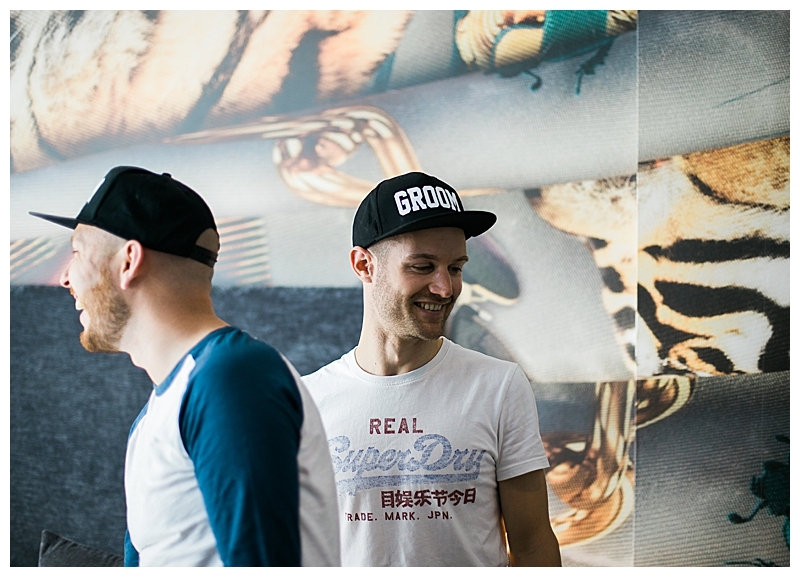 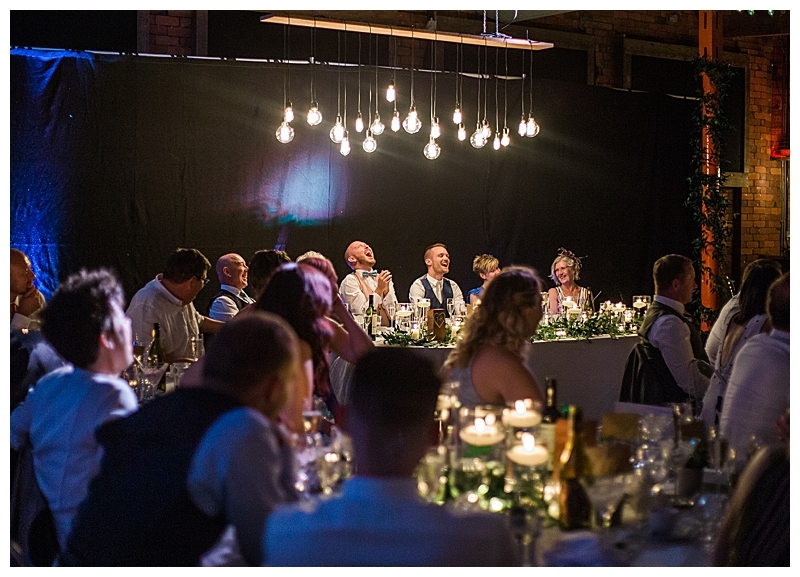 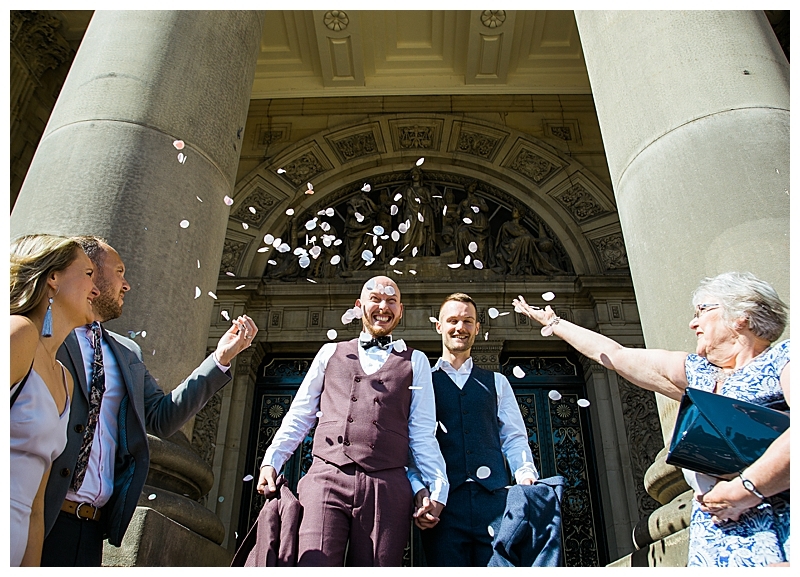 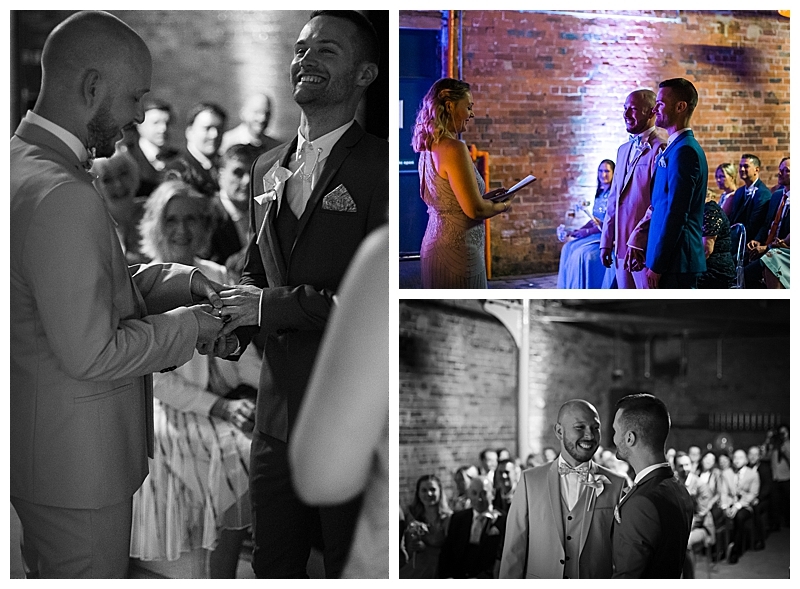 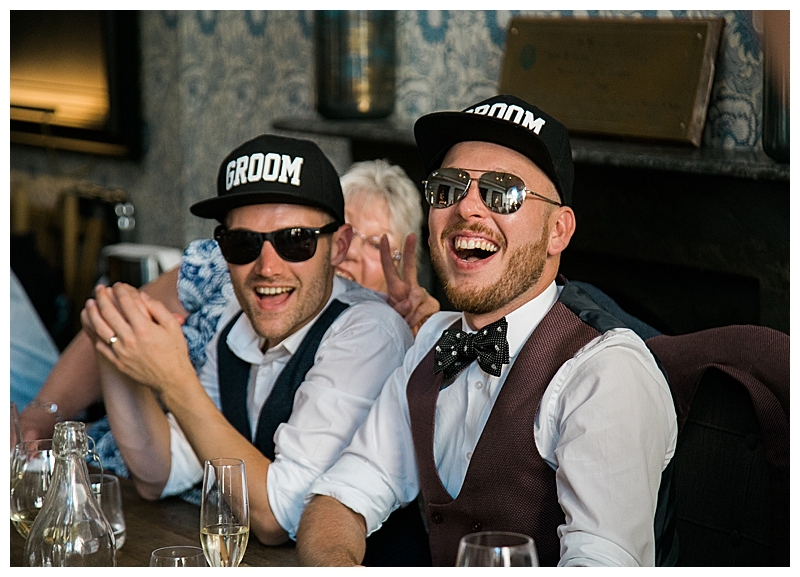 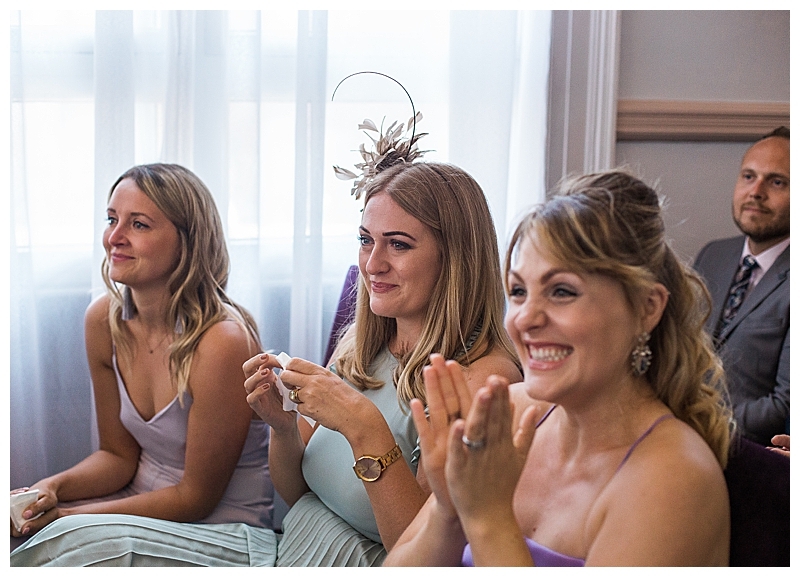 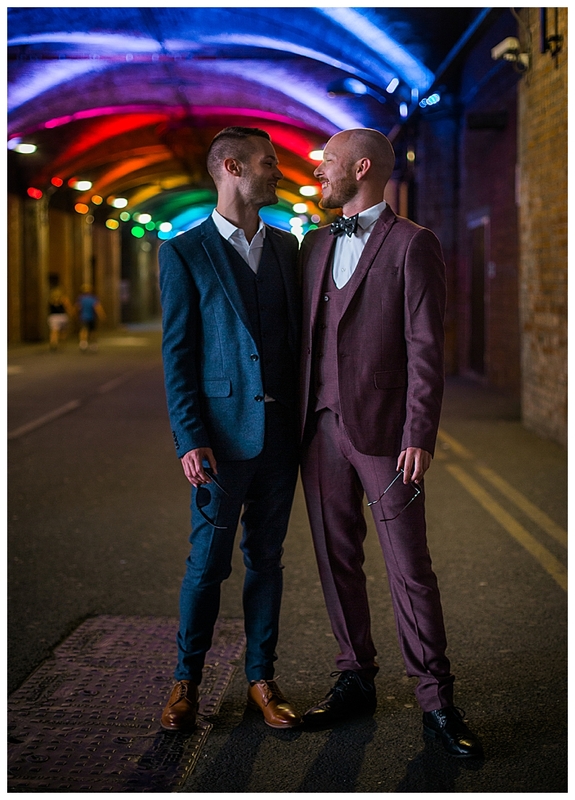 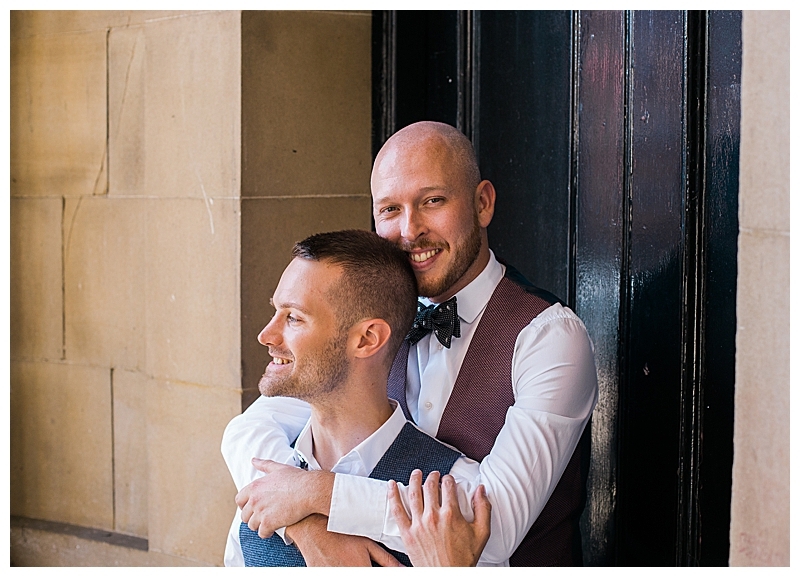 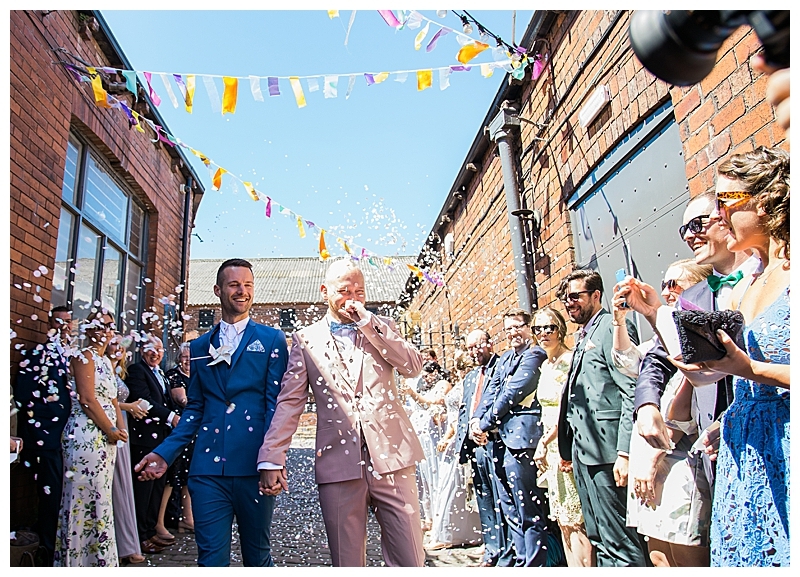 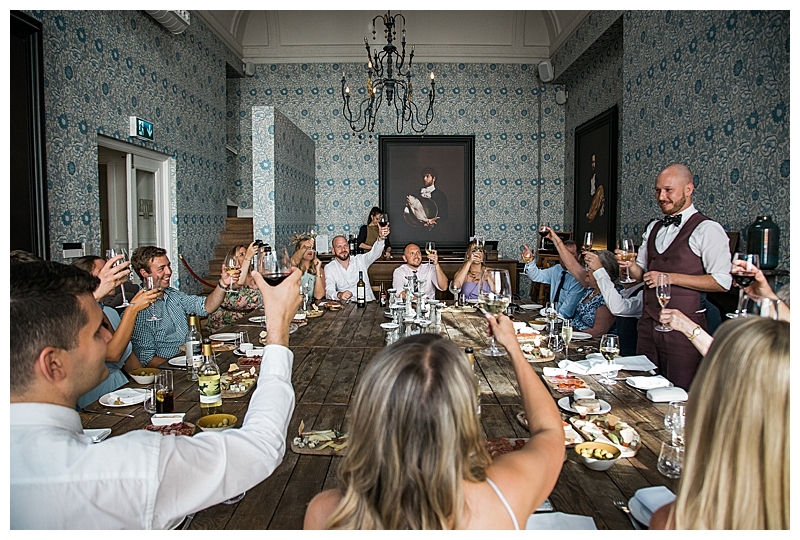 Wearing matching grooms hats, Tom and Rob kicked off their multiple-wedding weekend at Mal Maison Hotel in Leeds, England as To Have and To Hold captured the intense, excited emotions that filled the room. 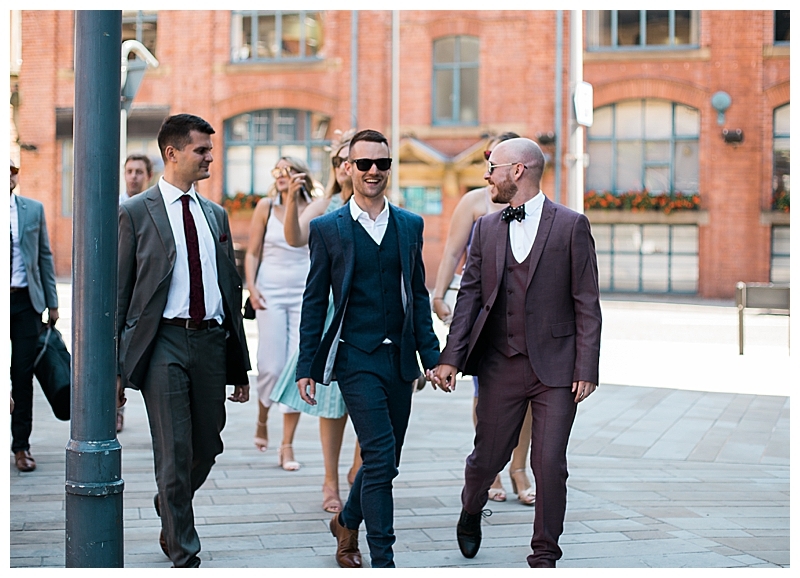 Wearing deep jewel-toned suits that looked impeccable with each other — Tom in plum, Rob in royal blue — they stylishly walked to the town hall, wedding party in tow, pausing for photo opps along the way. 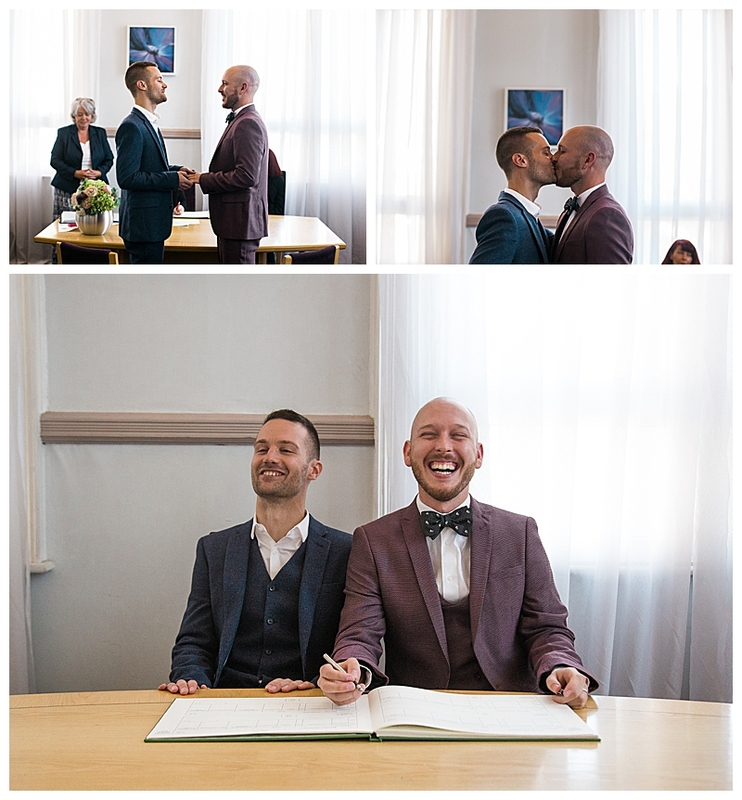 Inside the building, they exchanged intimate vows with 14 of their family and closest friends surrounding them. 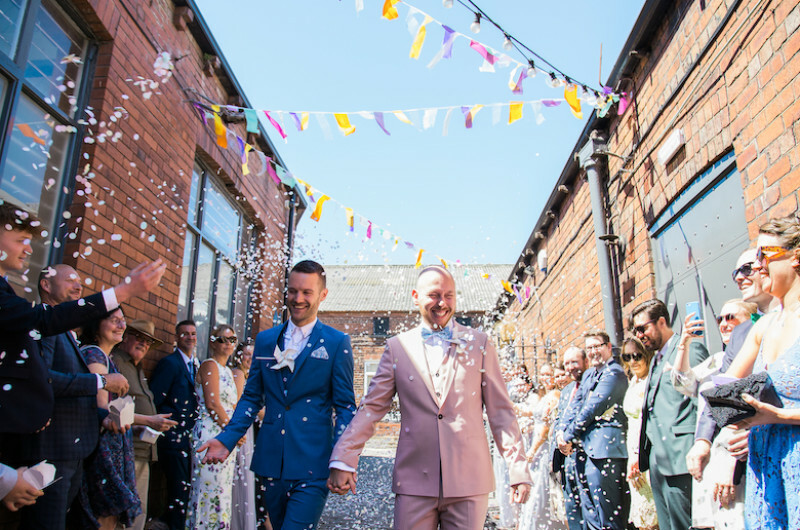 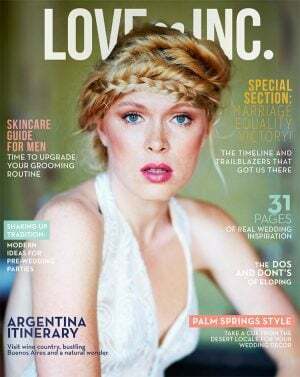 After signing the marriage license and making it official, they exited through a cloud of confetti to a nearby cozy cellar bar where they celebrated with cocktails and a private tapas dinner. 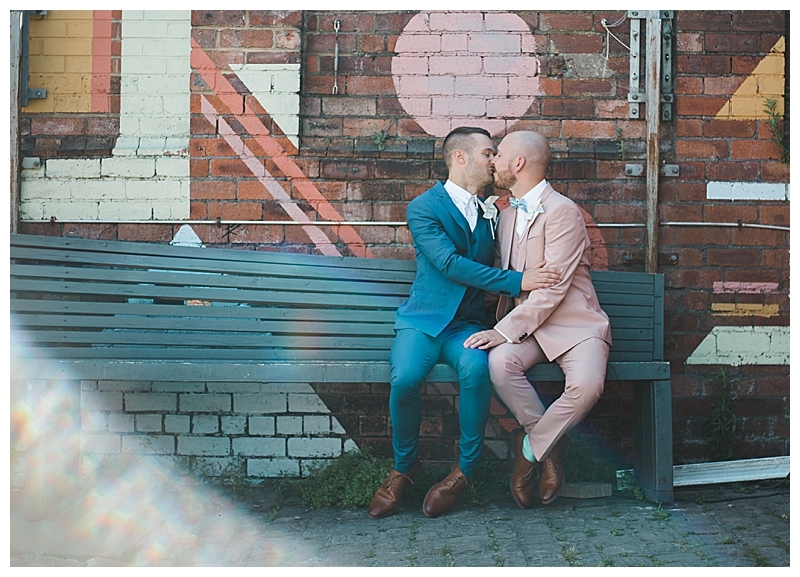 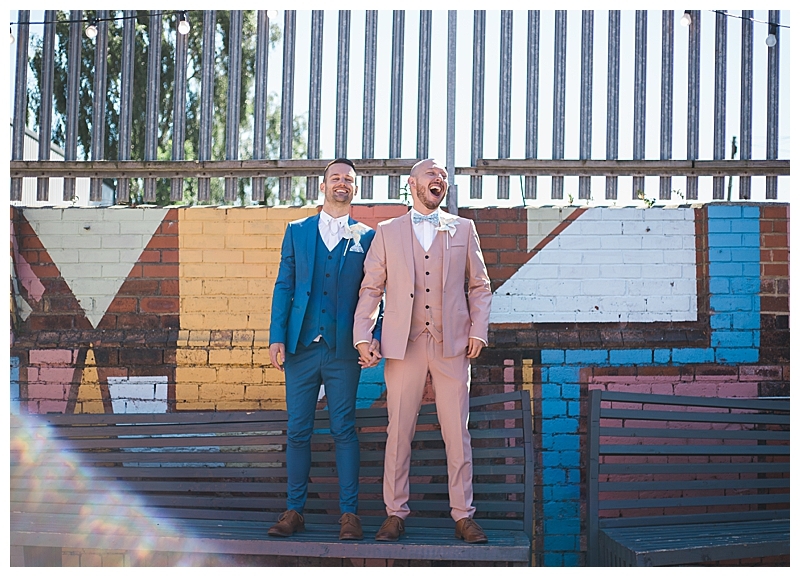 The next day, the grooms got ready separately in pastel-toned looks, exchanging heartfelt gifts with each other and their loved ones. 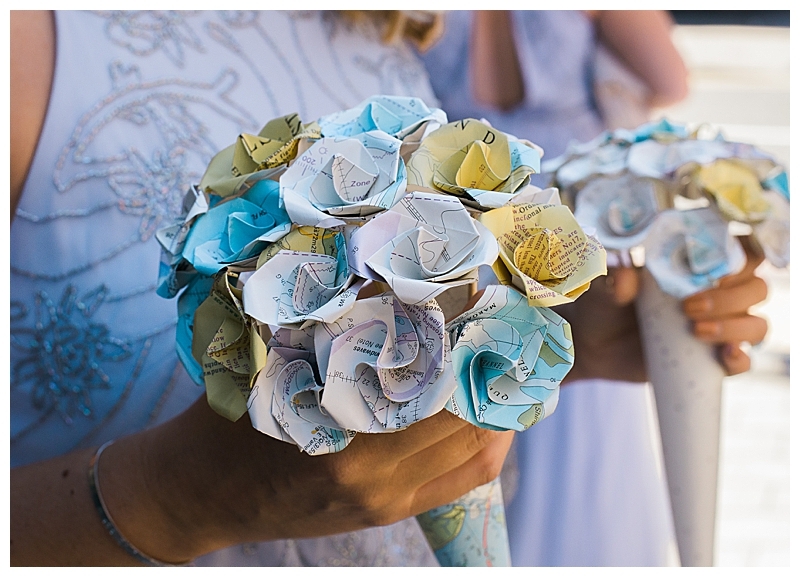 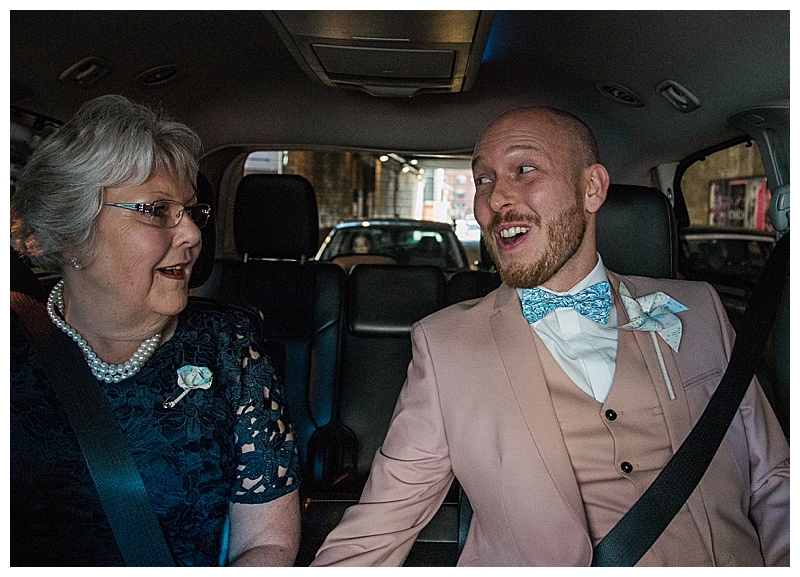 They traveled with their mothers to the ceremony, which was conducted by one of their best friends. 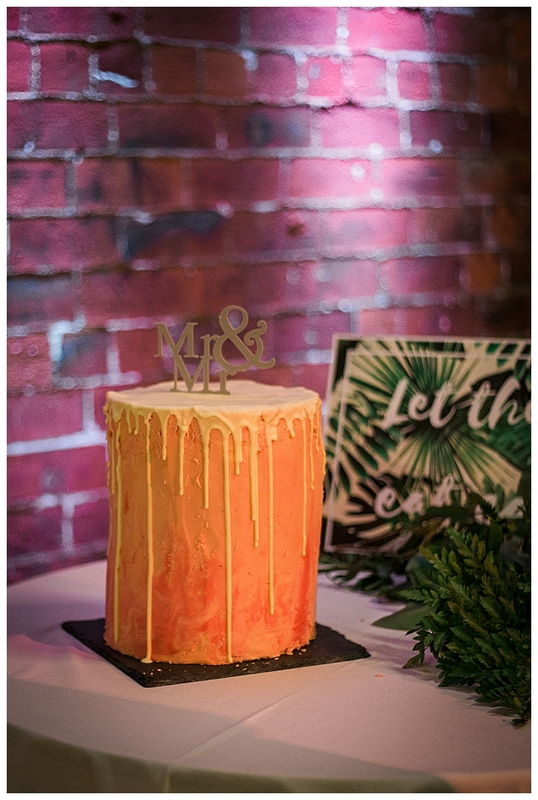 The morning vows concluded and guests enjoyed a wedding breakfast reception, with a cocktail hour filled with lawn games hand-painted by the grooms and a homemade drip cake made by Tom. 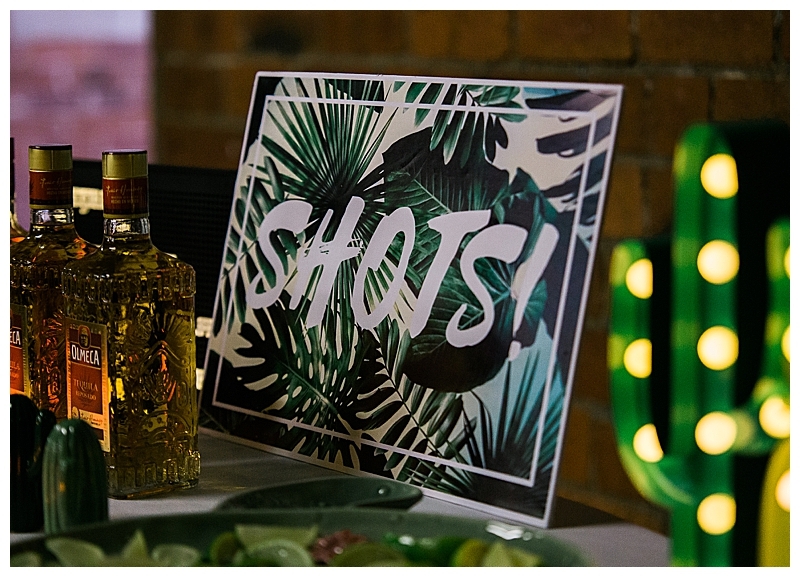 The grooms kept the party rocking with a lively band, a food truck and a tequila bar.